On May 25, 2018, the EU General Data Protection Regulation (GDPR) goes into effect and The Renaissance Network is ready for it. 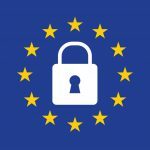 We’ve worked hard to address all of our compliance needs in dealing with personal data as the GDPR mandates for us. We are fully aware of the implications of the GDPR and … [Read more...] about GDPR: The Renaissance Network is READY!